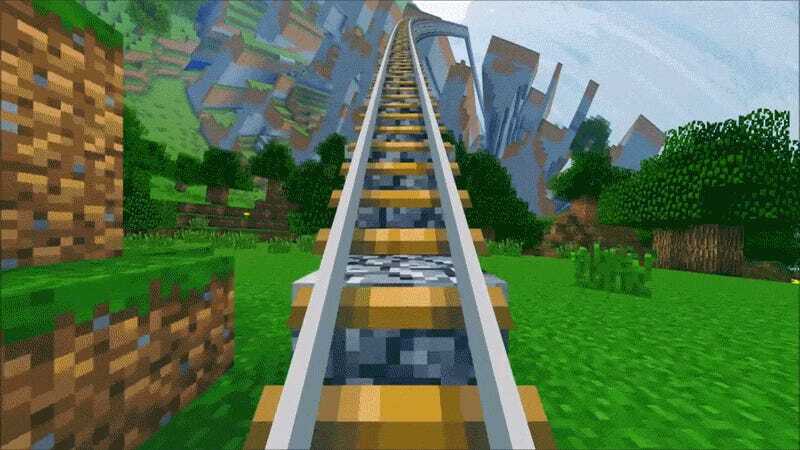 YouTuber BruceKnowsHow found a way to make minecart rides in Minecraft 100% more interesting. After modding in some graphical shaders he was able to transform the game into a dreamy journey. Even without a VR headset or watching the 360 degree version (via Prosthetic Knowledge), it’s just too trippy. This video was a nightmare. I probably spent longer on this video than I did on the original. What was originally supposed to take 7 nights to record dragged out to nearly a month. Recording the omnidirectional tiles was extremely unreliable and required multiple workarounds that I wasn’t aware of at the outset. This was made worse by the fact that I didn’t devise a method to check if a recording was in sync until after I had wasted over 100 hours on bad recordings. The torch-beats were redone from scratch.